Remember when the Doctor saved Madame de Pompadour from harlequin faced robots? One of my favorite episodes of Doctor Who is "the Girl in the Fireplace", starring the 10th Doctor, Rose, and Mickey on a spaceship that has 'windows' into the life of 18th century French courtesan Madame de Pompadour. 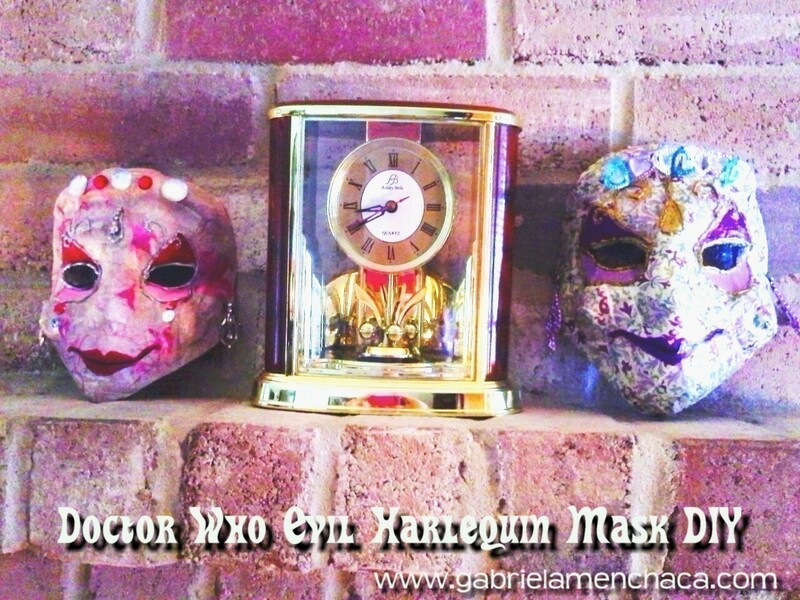 (I am kind of obsessed with Marie Antoinette, and French Fashion of that era...) Madame de Pompadour is followed around her entire life by these ticking-clock robots decked out in Rococo-garb, wigs, and these awesome evil harlequin masks. 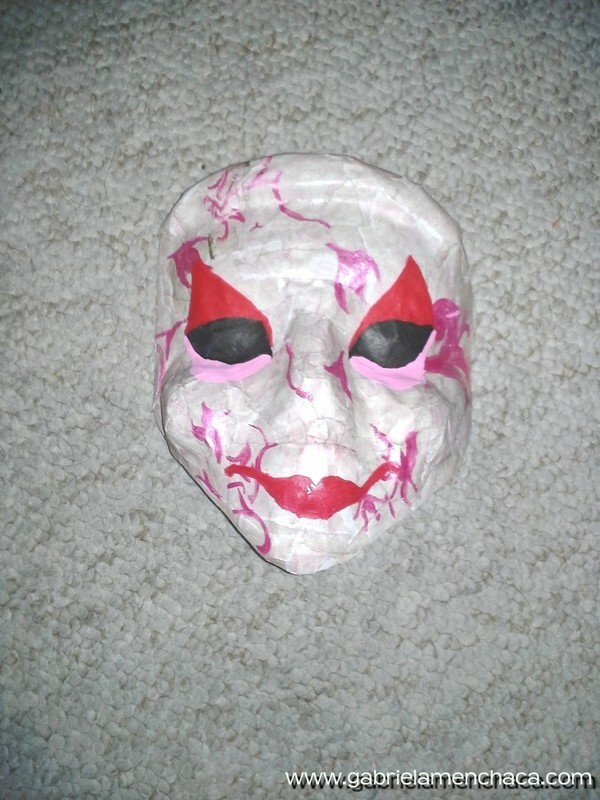 I re created one of my own a few years ago, in a mask making class. (Then I put it away and forgot about it, until now). I decided to make a second one and share my process. I plan on making lots more! 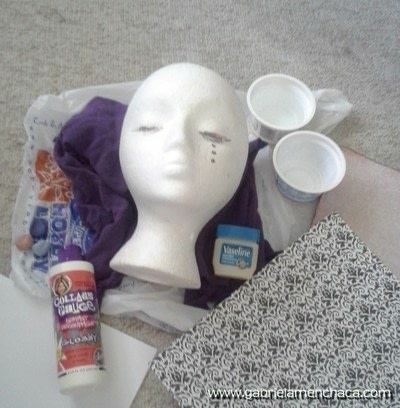 After you've gathered all of your materials, pour some of the glue into your container and add a little bit of water. Mix it well. 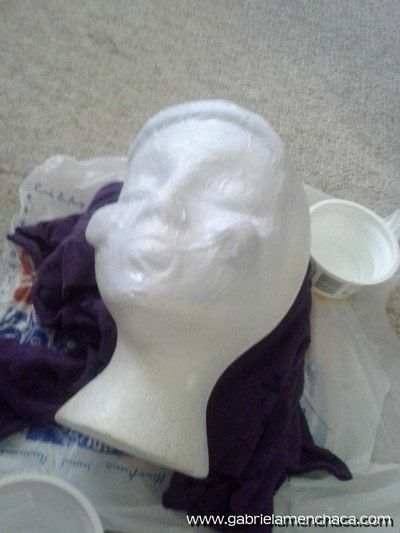 Grab some Vaseline and smear it onto the front of your styrofoam head. Don't just concentrate on the face, apply some to the sides of the head, beyond the face. This is so your paper mache mask can lift off easily when it's dry, and so it won't get stuck to the head. Wipe your hands clean. 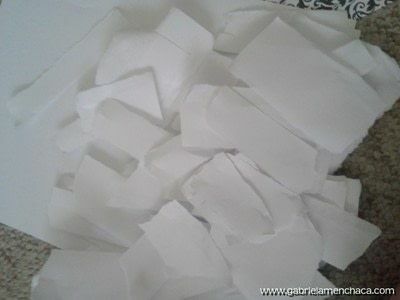 Shred your newspaper/computer paper and your scrapbook paper into longish strips, and smaller ones as well. Take your clay and mold out two balls that fit into the palm of your hand. 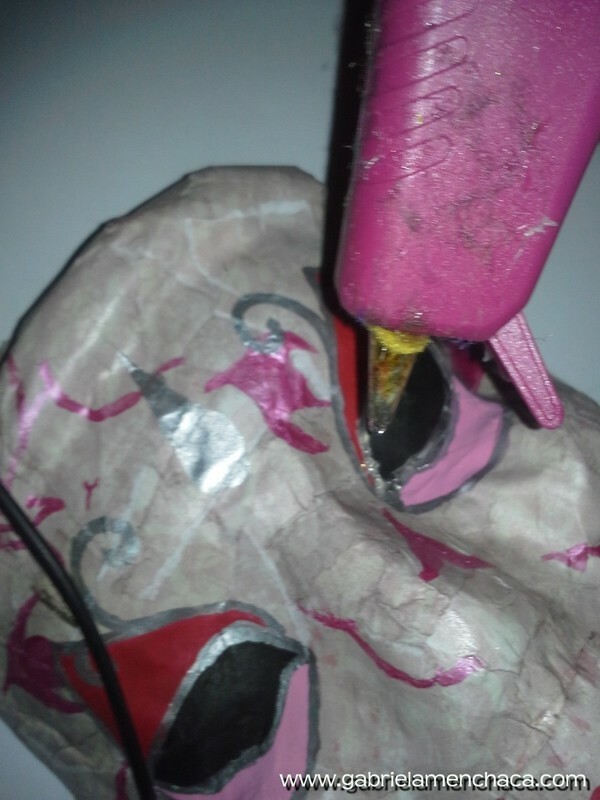 Press and slightly flatten them onto the cheeks of the styrofoam head. 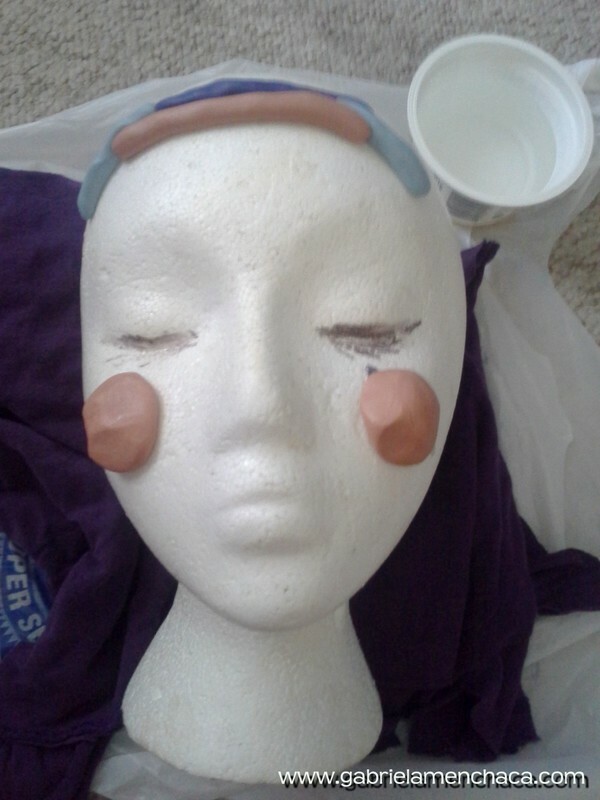 Then take another piece of clay and mold it out into a long tube for the brow/forehead. 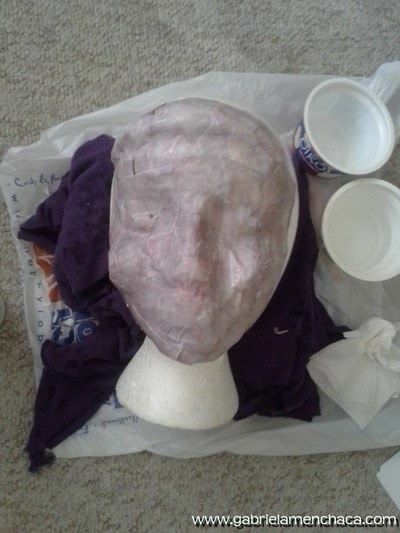 This will give your mask the cool facial structure of the original, (see reference photo). Starting with your newspaper/computer paper strips and pieces, start paper mache-ing your styrofoam face. You do this by dipping the strips into your glue/water mixture, squeezing out the excess with your fingers and smoothing them onto the face, and on top of the clay. 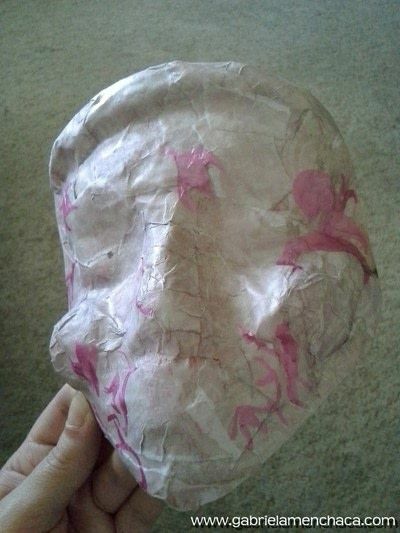 Do one to two layers of this paper and let them dry completely. Repeat STEP FIVE, using your scrapbook/decorative paper. Let dry completely. After the paint has dried, and using a pair of scissors, cut around the rough edges of your face, elongating the chin. Take your metallic paint (either silver or gold) and a thin brush. Outline the eyes and the shapes on the outside of the eyes. Add swirls and a forehead mark in the shape of a teardrop. Let it dry! 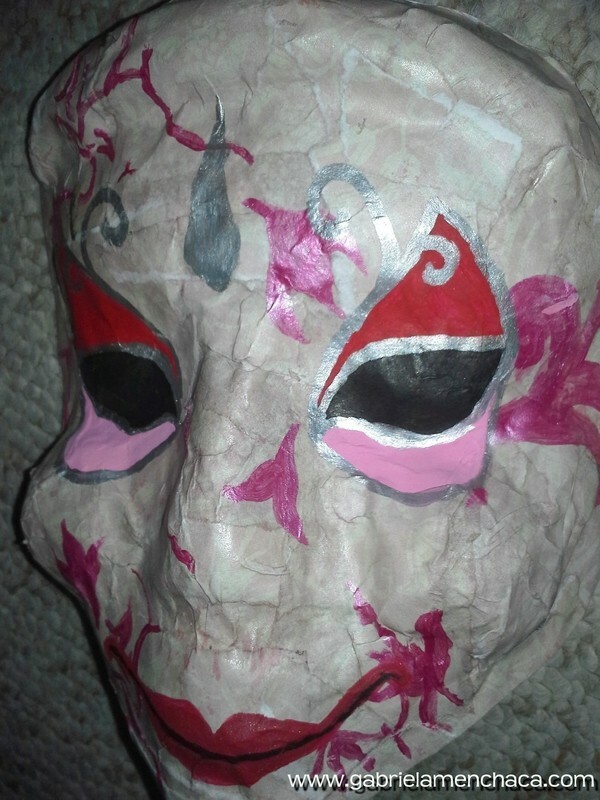 After the glue has dried, take your metallic paint again, and paint over the glue. Allow to dry completely. 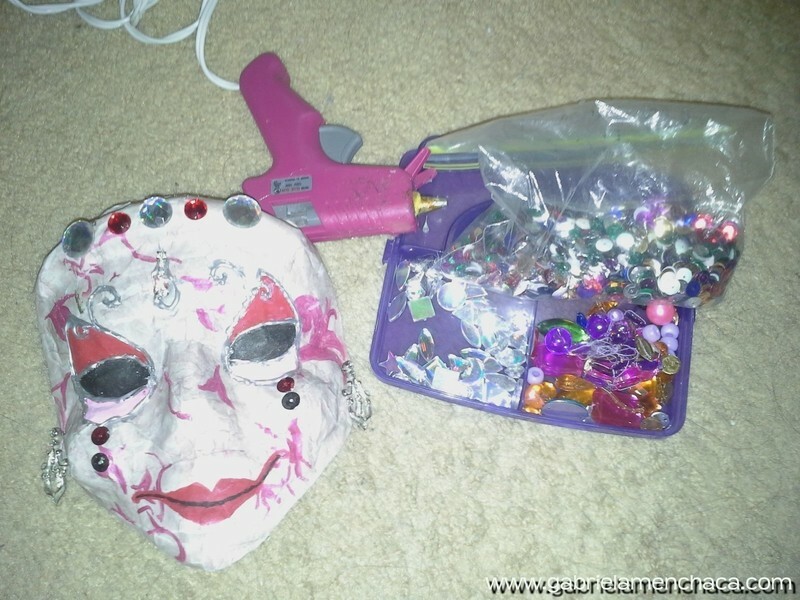 Now you're ready to embellish! Use any materials you like here, and apply them however you want. As you can see, I like to add earrings to mine.. just poke them through where the ears would be. I even added one to the forehead teardrop mark! That is one of my favourite Doctor Who episodes, as well. Love the masks. Think I might try making one myself. Thank you for sharing.